Since the marketplace has been increasingly competitive, store merchants are now struggling with only how to draw customer attention but also how to retain as many customers as possible. The coming back of shopping doers to a certain store several times is known as customer loyalty, which is the key to the sustainable development of any business. That is the reason why loyalty programs are of the highest concern than ever. Launching a loyalty program is considered to be the best way to increase customer retention. However, how to make an interesting program is not an easy question. 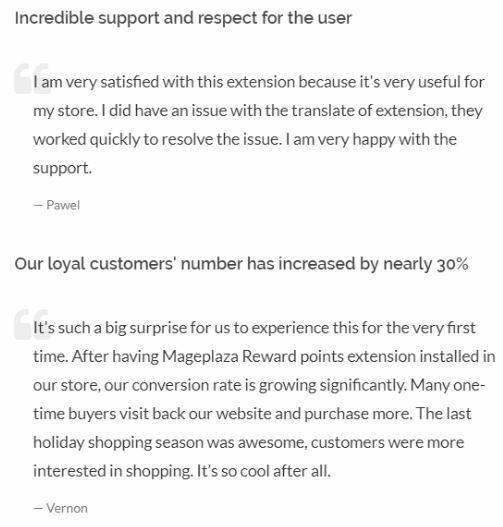 Knowing about that Mageplaza Reward Points extension is introduced to significantly support every Magento online merchant to optimize the use of loyalty programs. 1 Why is Mageplaza Reward Points extension an indispensable module? Why is Mageplaza Reward Points extension an indispensable module? 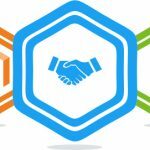 Functioning as a supporting tool for online store merchants when launching their reward programs, this extension will significantly contribute to the increase of customer loyalty effortlessly. 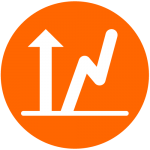 Consequently, conversion rates will be raised remarkably as customers have a tendency to come back and make a purchase to spend their cumulative points. Besides, if a loyalty program is truly interesting, more shopping doers will be attracted and engaged in this program; thus, the store has more new customers and brand awareness is built. More importantly, the feeling of being rewarded make buyers feel satisfied more easily. 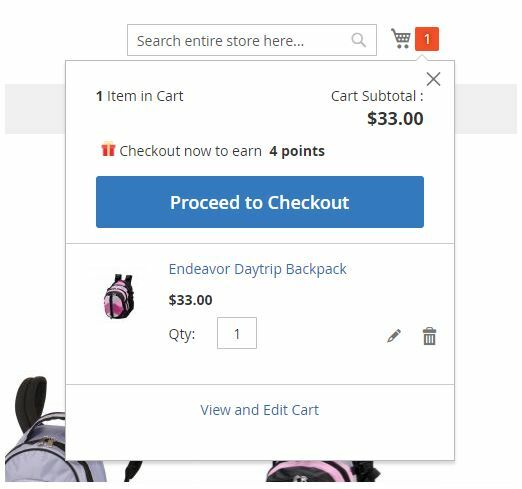 This feature functions as a pointer to show how many points customers will get after purchasing a certain product. 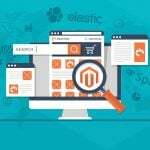 With this function, every product is configured to present relevant points below it in both product page and category page. Point label is designed with the hope to make reward points program more enjoyable for both buyers and sellers. Shop admins can make the best of this feature to figure out an interesting name for their counting unit instead of a boring name like ‘Point’. The name can be ‘Heart’, ‘Star’, ‘Flower’, and so on depending on store owners’ preference. The slider is added to this extension to make the loyalty program become more playful and interesting. Only by pulling the slider, buyers can themselves decide how many points will be used like they are playing a game. Point indicator is a mobile notification to inform buyers how many points they will get after purchasing a product or completing an order. With this function, customers are always aware of the number of points they will get; consequently, encourage them to quickly finish this purchase. When having this module equipped for your store, you will have 30-day guarantee money back. It means that you can return this extension and get your refund easily if you find it unsatisfied. Besides, once owning this module, you will receive professional support from Mageplaza to maximize the use of this extension. Additionally, there are some other benefits such as one payment and free update which are sure to please any buyers. 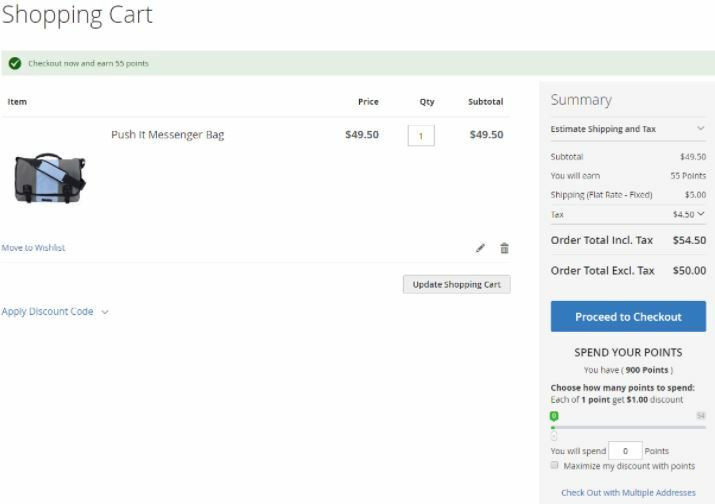 Not only Reward Point extension, when purchasing any product from Mageplaza, customers are applied the same policy like these. Earning/ Spending Rate: Determine the earning rate and spending rate to apply for different groups of customers along with their level of priorities. Point Icons: Shop admins are also allowed to upload an image as a symbolic icon for their point label to make it more vivid. 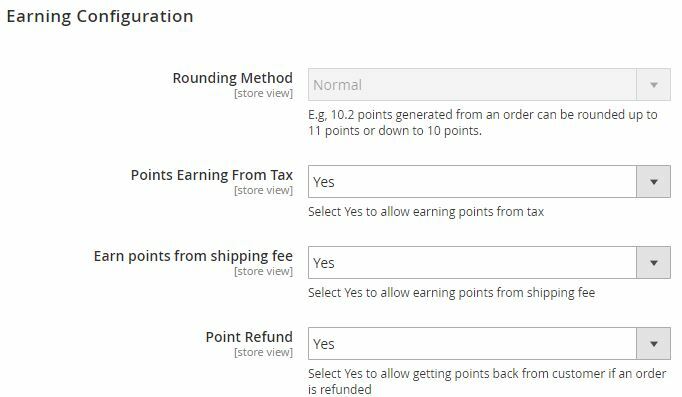 Refundable Reward Points: Points are customized to be refundable for both customers and sellers when there is any order canceled. 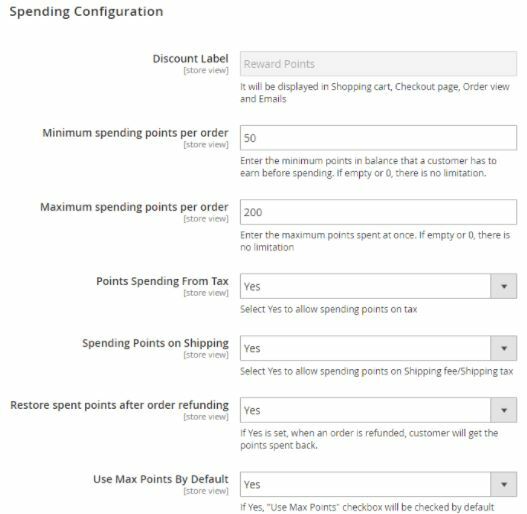 Point Spending Restriction: Admins can use this function to restrict the amount of points used or each purchase. 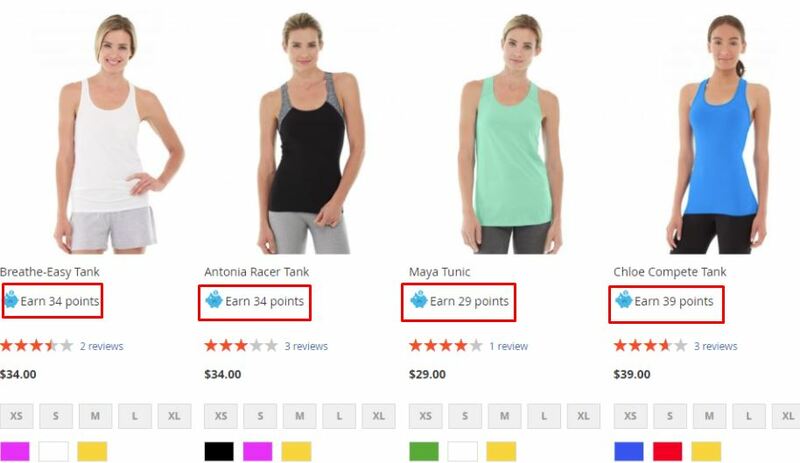 Customer Group Reward: Store owners can configure reward points rate in specific store views and customer groups. Although recently released, Mageplaza Reward Points extension is favorable by various online store merchants. Here come some of several feedbacks and compliments from users. Once owning this extension, shop admins can customize configuration in the backend to make it suitable with their intention. To start making adjustment, from Admin Panel, store owners have to navigate Marketing > Reward Points to configure here. There are four main sections that admins can make changes, namely Earning Rate, Spending Rate, Transaction, and Configuration respectively. In this section, shop admins can manage all earning rates created within their stores. There are some actions admins can do here such as Add, Delete, or Edit an earning rate. This is the place where store owners keep track of all spending rates put in a grid. Similar to earning rate, admins can choose to Add, Delete, or Edit a spending rate in this section. After clicking on this section, a grid of all actions within the store will be shown to users. They can manage and perform several actions here such as Add, Delete, or View a transaction. 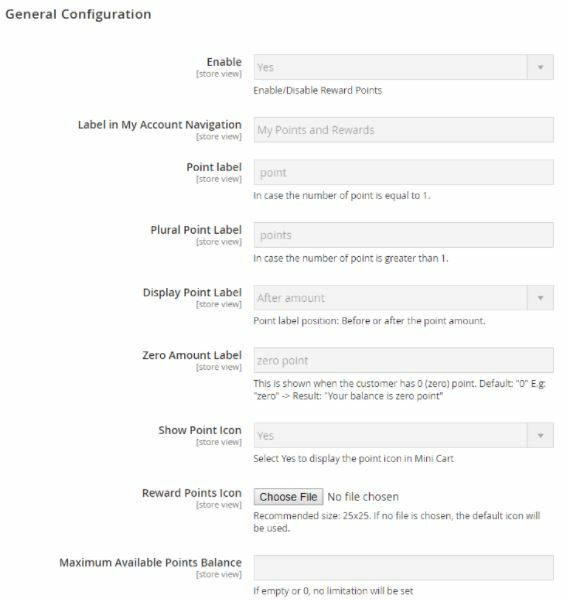 In general configuration, admins can activate Reward Points module and make changes to point label, point icons and maximum available points balance. There are two main sections in this part which are General Earning Configuration and Sales Earning Process. In General Configuration, some aspects of earning points concerning rounding method, points earning from tax or shipping fee, and point refund will be mentioned to make setting here. In Sales Earning Process, shop admins can decide expiration date and time to get reward points for every order. In this field, there are some criteria that store owners can configure such as minimum or maximum spending points per order. This is where shop admins can determine the place for earning points to be displayed on the frontend. 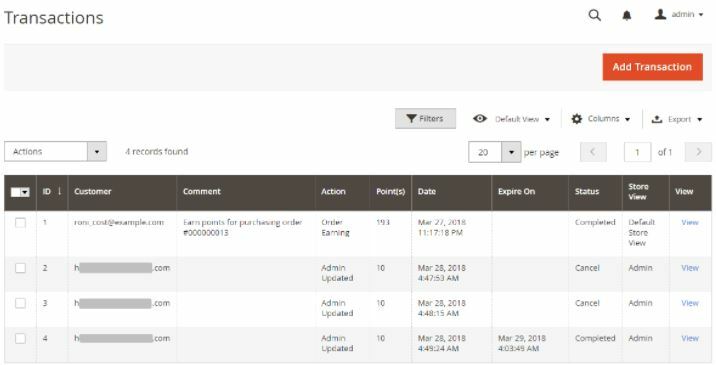 This part allows users to automatically send an email to inform their customers about the earning point status such as new changes in total points or expiration date. After login, customers can check their points earned in My Points and Rewards. In this section, detailed information about their reward points such as total points, expiration date, maximum balance, and so on will be shown. Depending on the configuration in the backend, checkout page in the frontend can include point indicator or not. In this page, there is also a point spending slider on which customers can pull to decide the amount of point used. With the help of Mageplaza Reward Points extension, loyalty programs will be much more beneficial to every Magento online merchants. By making use of this supporting module, loyalty programs will be more interesting for customers to engage in. Therefore, both customer satisfaction and customer retention will be much improved. If you are on the way to create an effective reward program, let start looking for an impressive name and equip your store with this extension. Following are some name ideas you can consider before launching your program. Hope that you can find it helpful. Explore.